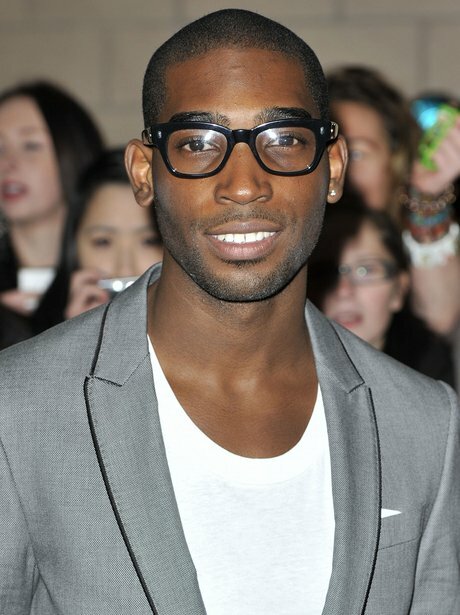 See the gallery for quotes by Tinie Tempah. You can to use those 7 images of quotes as a desktop wallpapers. My goal, my aim is to be a superstar, but not in a cheesy way. I want to go to America and do what they do. But better! People used to say poems were different to songs but I don't think they are. This is the kind of fashion I grew up on - a good pair of trainers, great denim - and I will always love high-end streetwear. When I feel like I'm renowned enough, I'd love to do a heritage-type line, but that takes time. Being able to travel the world is pretty cool. There are places that I've always wanted to go to but being able to go there as somebody who's a musician and is recognised as one is cool. Dizzee's just my childhood hero. He's definitely the inspiration. He's got himself to a very good place. 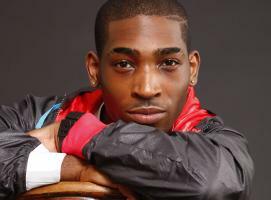 He's defied the expectations of what British black urban music was like. He was the first person who made the rest of Britain realise it wasn't just a one-album-type situation. You've got to take your hat off to somebody like that. Gone are the days when you'd have to tune in to a mad illegal radio station late at night to be able to hear the rapper of your choice. That's all changed now. That's all gone out of the window. 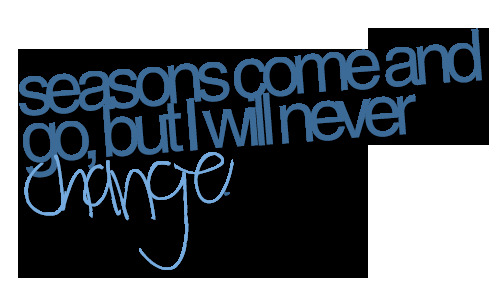 And I feel like I represent that change. I represent the era of iPods and Shuffle and things like that. I don't think I've had to change anything, really, apart from being more serious and focussed on my drive. One thing I've realised is that you get out what you put in and because of that my work rate has increased ten fold. I enjoyed my upbringing, my siblings did, we're polite, we're respectful, but at the end of the day we're young, we like to have fun. But now, more so than ever, the youth has been vilified to the point where it feels like you can't enjoy being young any more, you just have to sit it out and wait until you get old. I first became interested in style when I was 16 and I had my first couple of gigs. I realised I couldn't look like the people I was performing to. Not in a condescending way, but just that it would be weird if I was wearing exactly what someone in the crowd was wearing. I grew up in an eclectic house where people were listening to all types of different music. I also think being educated, eloquent and knowing how to talk for yourself in the industry makes you go a long way. I lived in Peckham for the first 12 years of my life and then my mum and dad decided they really didn't want to bring up their children there. So they saved up money and bought a house in Plumstead, semi-detached, three bedrooms. I really want to work with Adele, I think she's amazing. Lykke Li as well. I love them both. I'd also like to work with The Script. I met them in Australia and we just got on like a house on fire. I was well brought up, my parents are still together. I lived in a council estate, but I don't anymore; I saw my parents buy a nice house and move me to a nice area. I'm into everything. My iPod is very eclectic - if you kept it on shuffle, you'd be amazed. For example, I was forced to grow up on Dolly Parton. My mum was obsessed by her. She bought all this memorabilia for the front room. It's ridiculous. I'm just a young person trying to fulfil his potential and be the best he can be at what he wants to do... I guess that's why people connect with the music. 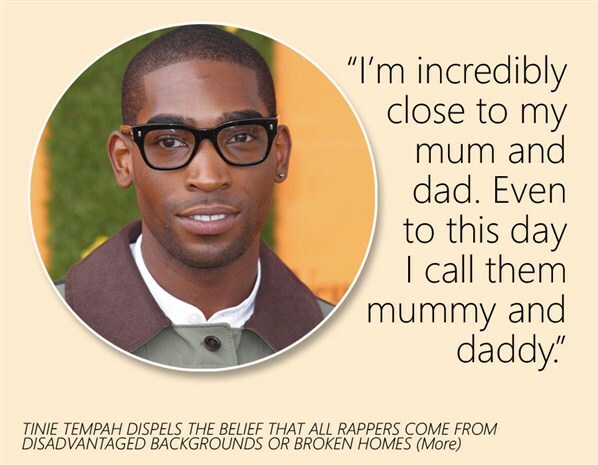 Much more quotes by Tinie Tempah below the page. If I go to an awards ceremony, I wear a suit, of course I do. I am proud to be there. If there are young kids looking at pictures of me, I want them to feel that they should long for the opportunity to go somewhere really smart and wear a beautiful suit, rather than to reject that. The way everyone in London is right up against each other makes it very real to you growing up, the fact that people have different lives to you. And that causes problems; of course it does. There's this other girl called Lykke Li from Sweden - I really want to collaborate with her, that'd be great. Obviously Kanye West as well, and Drake would be pretty amazing. When you look at the Lady Gagas of the world, or the Jay-Zs, or the Black Eyed Peas, these are people who have one album release and it's a worldwide one. A lot of young people have all these aspirations but many of them don't believe they're possible. Artists take on an alias that's suitable for their style of music. Everyone had a nickname when they were younger. At the end of the day, I'm a human being and I just think that's what it is. Challenging stereotypes by just being who I am. At the end of the day, you sign a record deal and you understand where it could go if you had the right song. Every generation that comes from this family has to do better than the last. Grime is a particular style of music. 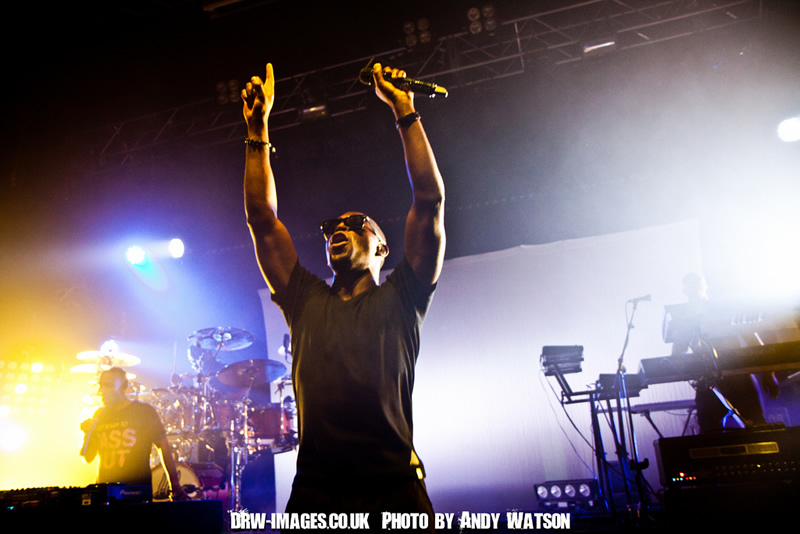 You've got electro, funk and garage; grime is its darker side. 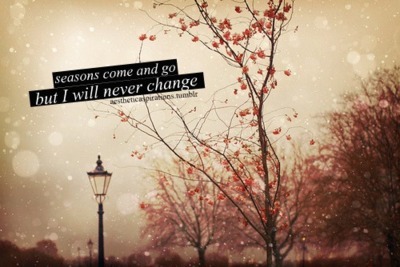 It's constantly evolving. I actually remember celebrating National Poetry Day at school; I remember having to write and read a load. I definitely believe in God. I feel like I'm indirectly showing people, not that there's another way, but just that if you really have a dream, you should try and give it a go. I like to think I don't make music for ignorant people. I pray as much as possible. I think it's imperative to have faith or religion, because it's good to have morals, to be kind to others. I think when you come to Australia you immediately get the sense of fitness and taking care of yourself and being healthy, and it really shows. I'm a bit of a mummy's boy. I'm actually going to the gym, working on getting not fatter, just a bit bulkier. I'm merely a fan of fashion from high end to streetwear, from Nike to Comme des Garcons. I've definitely done something that's made my mum and dad forever proud. I've seen how much effort has to go into a tour, the performance and also how to look after yourself, not just physically, but mentally too.